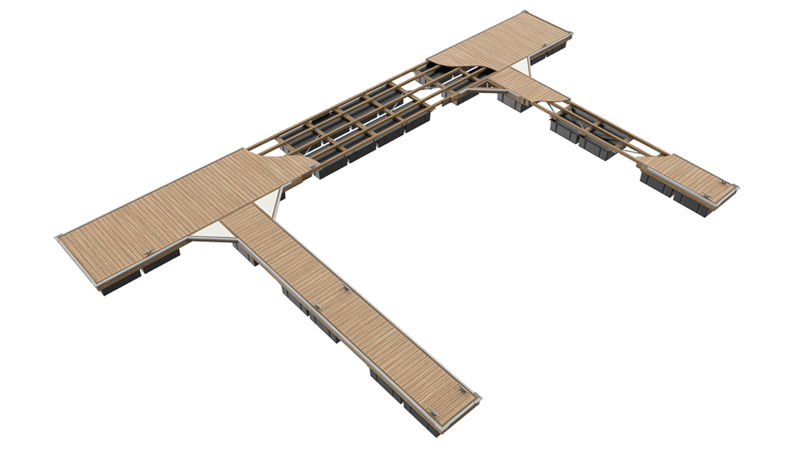 Illustration is conceptual. 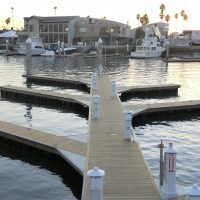 Prepared to show typical dock components. 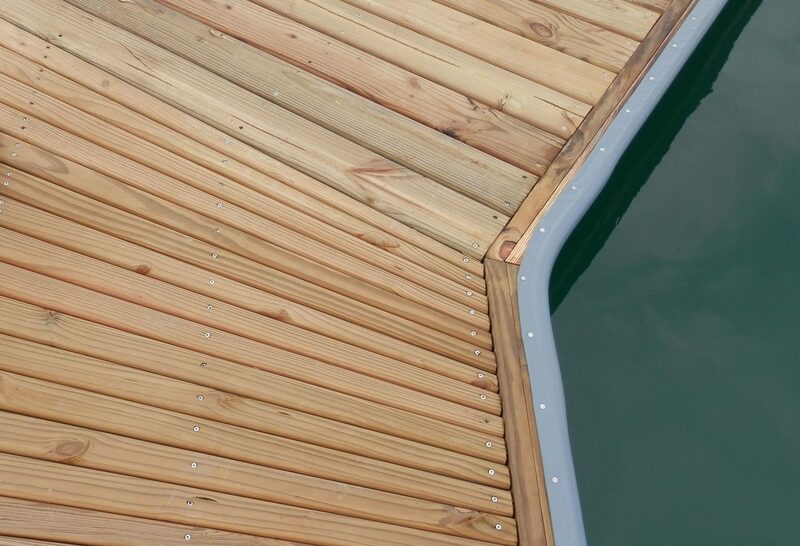 Details are subject to site-specific requirements. 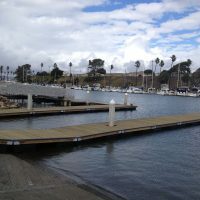 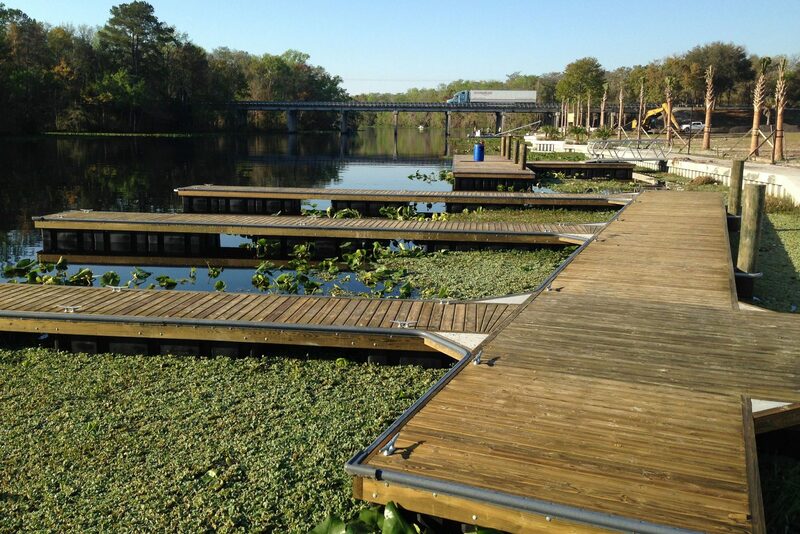 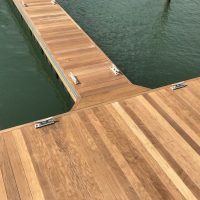 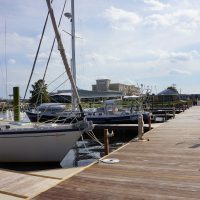 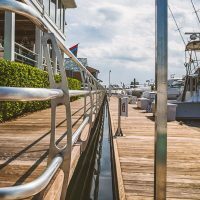 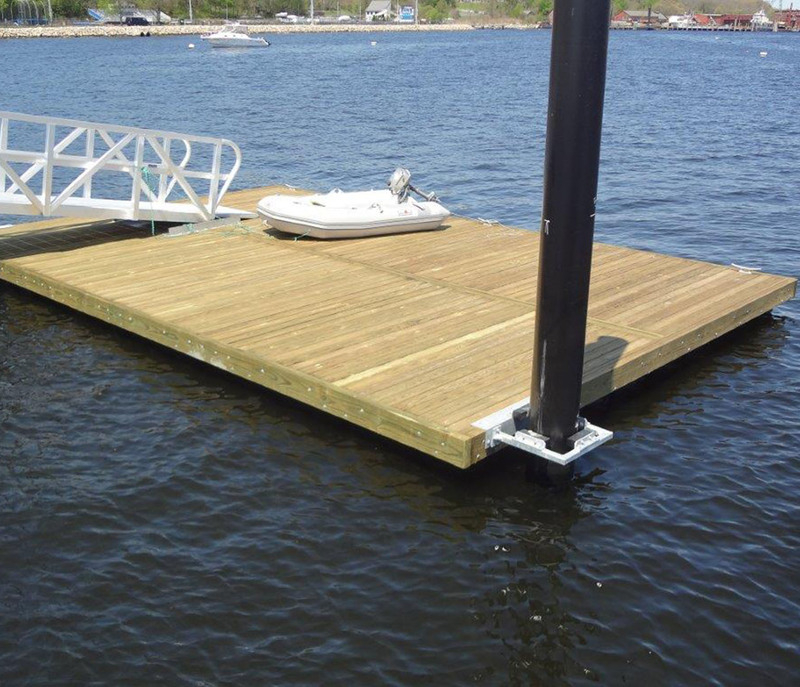 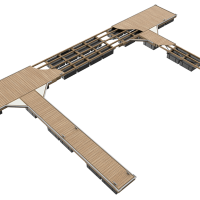 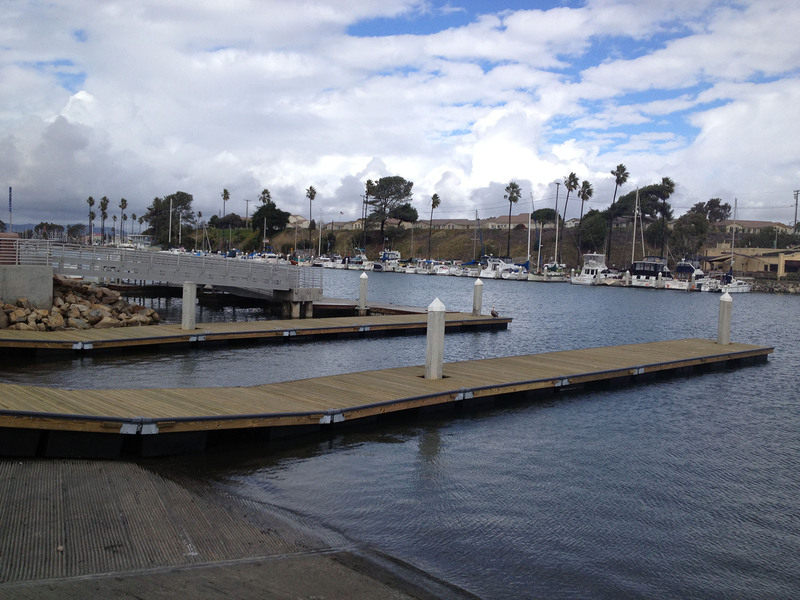 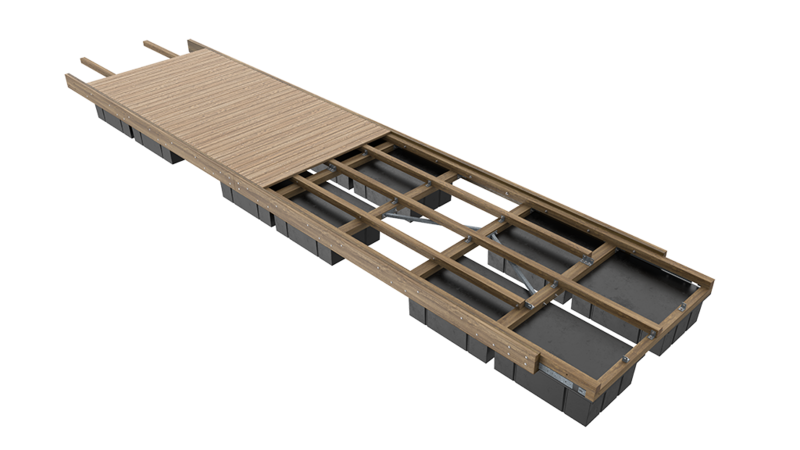 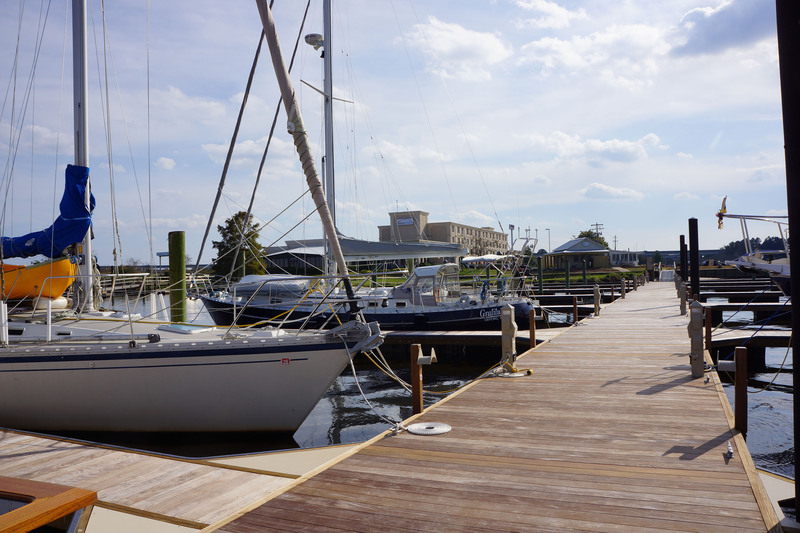 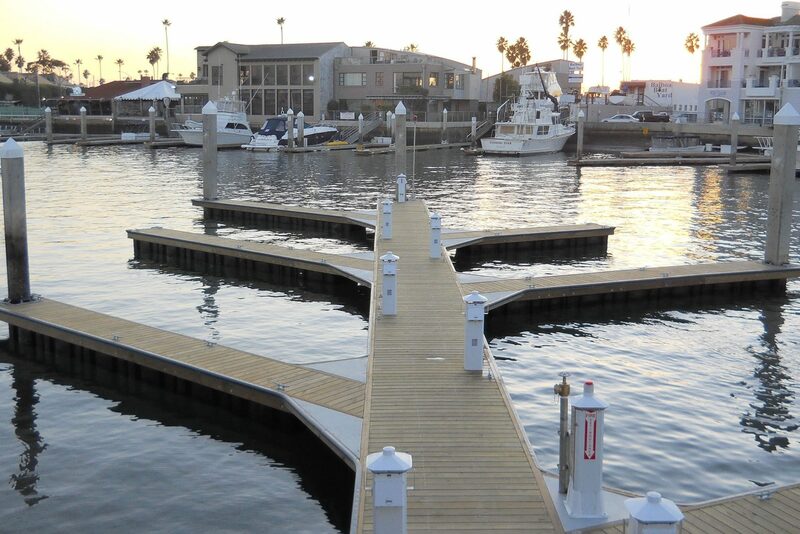 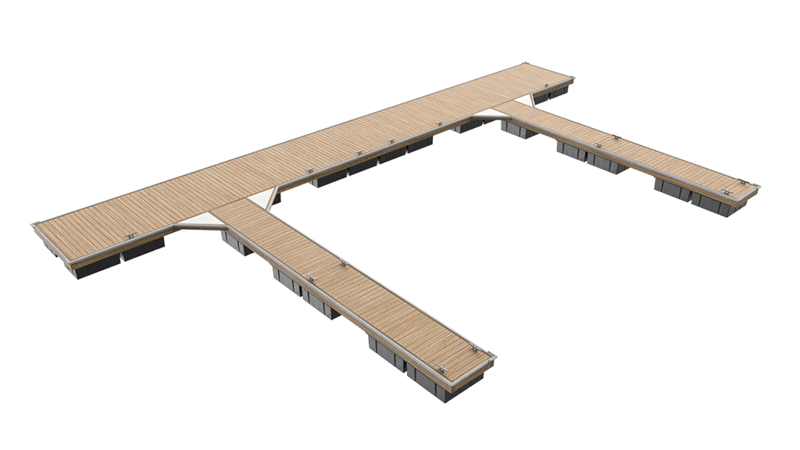 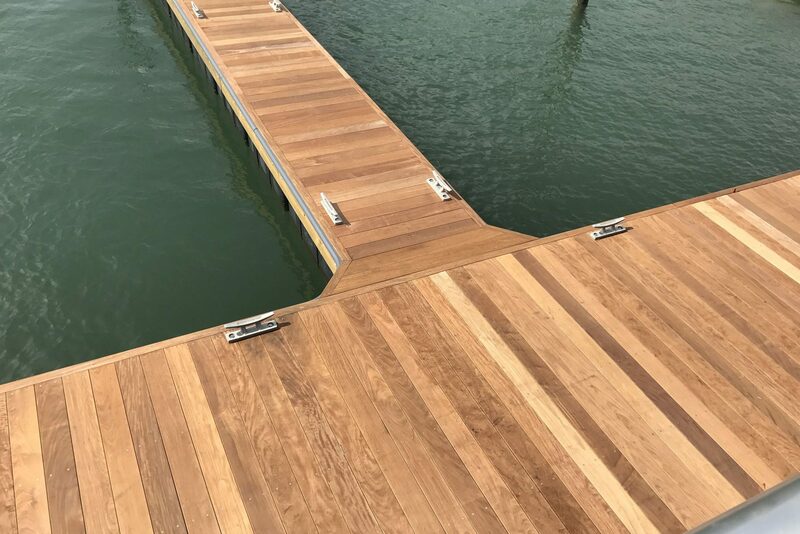 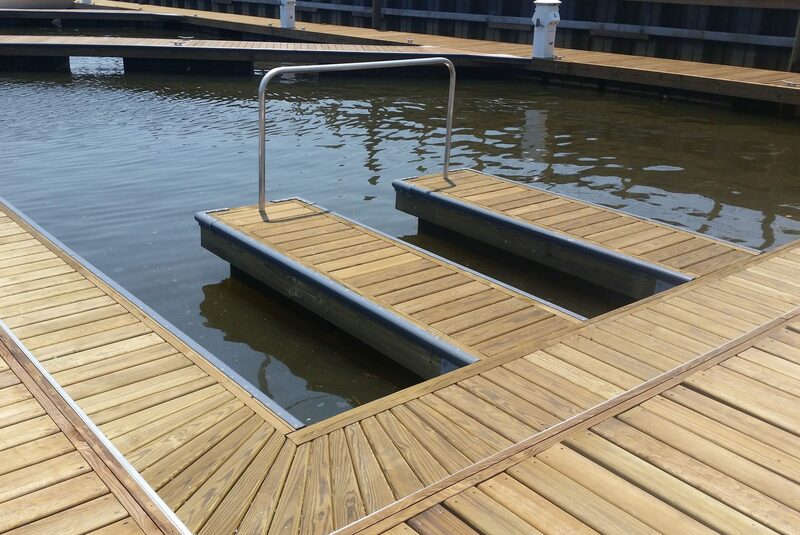 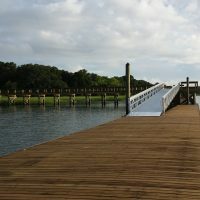 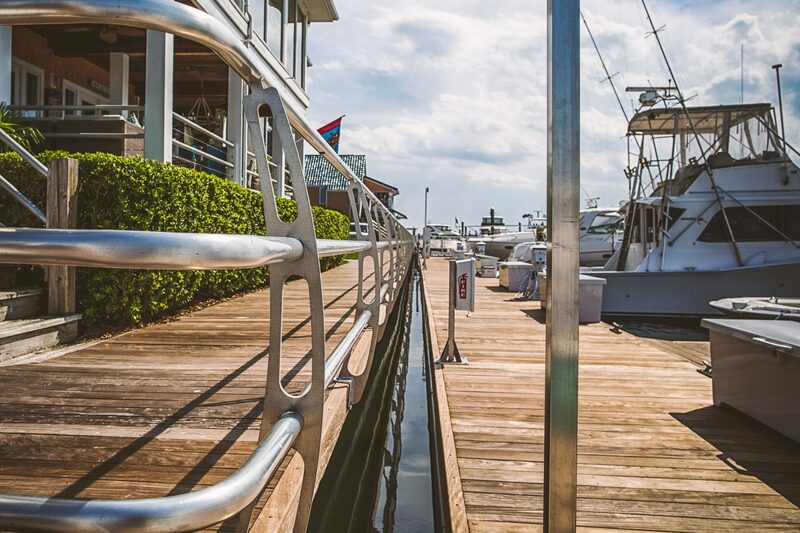 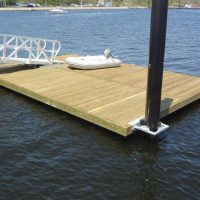 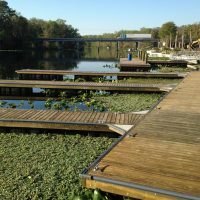 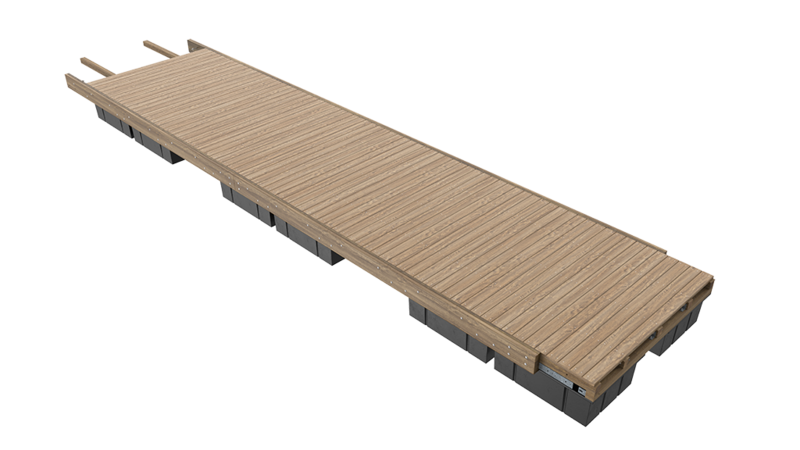 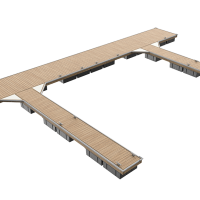 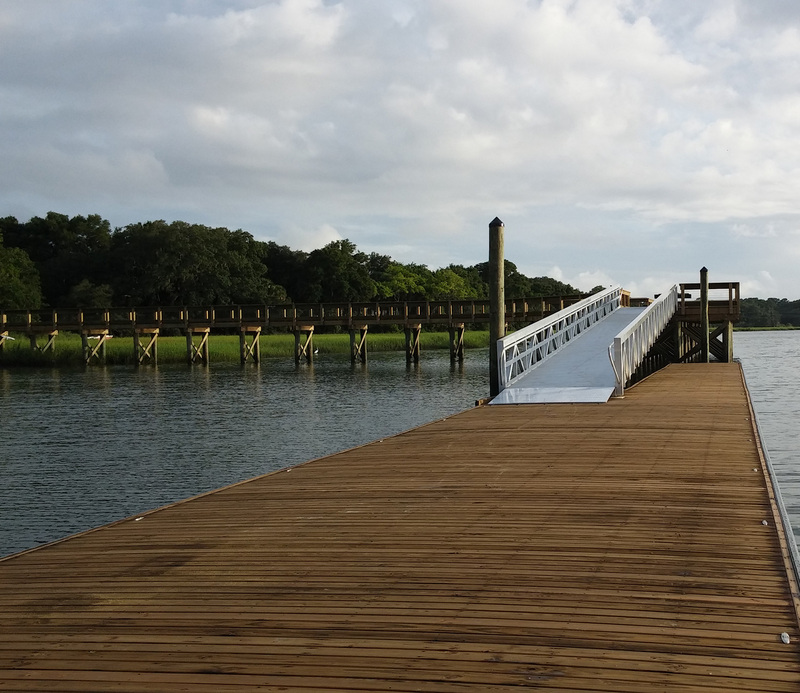 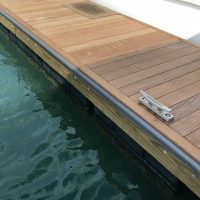 The Unideck timber dock system is an engineered product that is unique within the market. 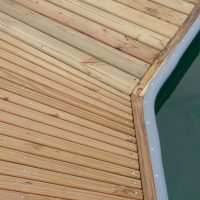 The system features a structural waler with steel reinforced timber connections. 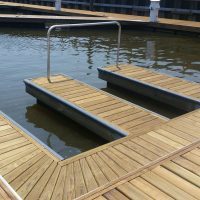 The dock’s strong structural core guarantees high load capacity, a long service life and eliminates concerns of twisting. 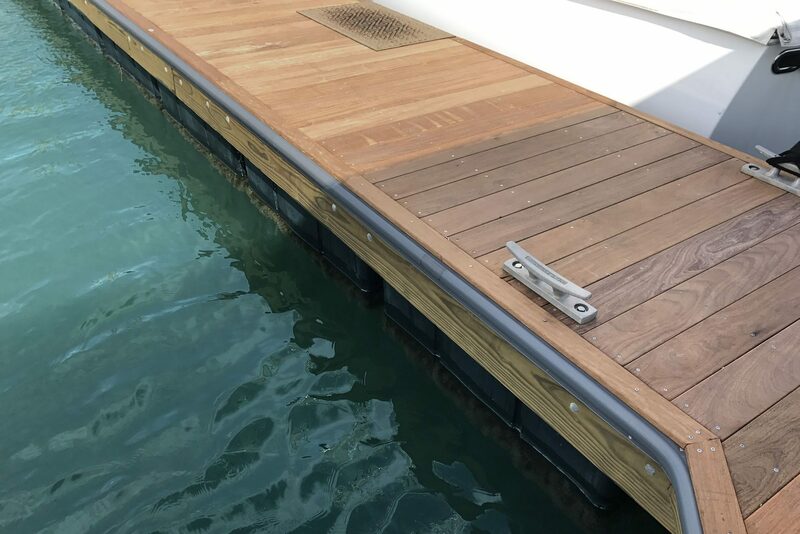 This mid-weight system is well suited for protected basins, the moorage of small to mid-sized boats, and shallow water, where the floats may ground out during low tide.